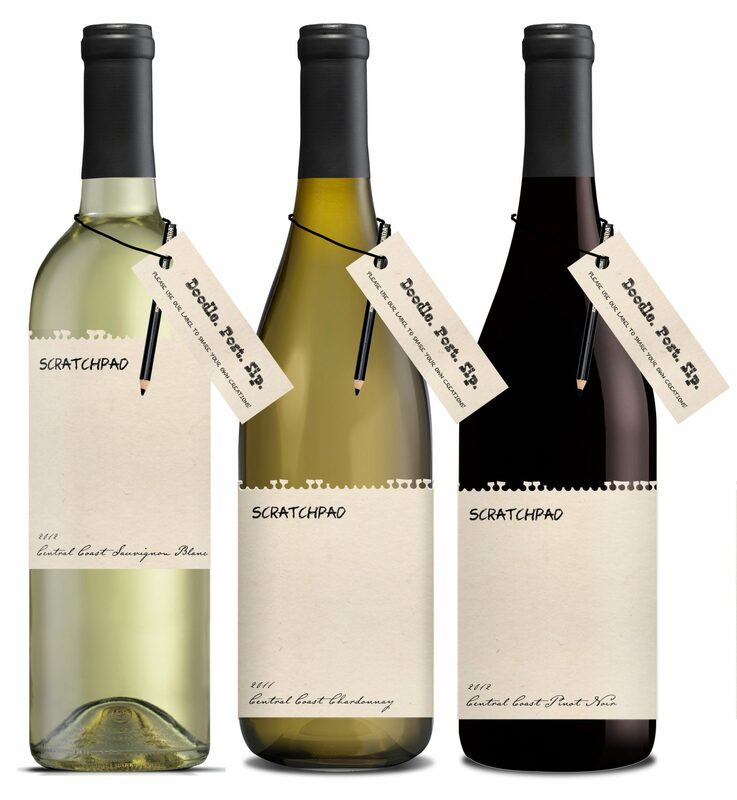 The attractiveness of a wine label is one of the main reasons why consumers select a wine in the store. Have you ever looked at a label and wondered what a winery was thinking? 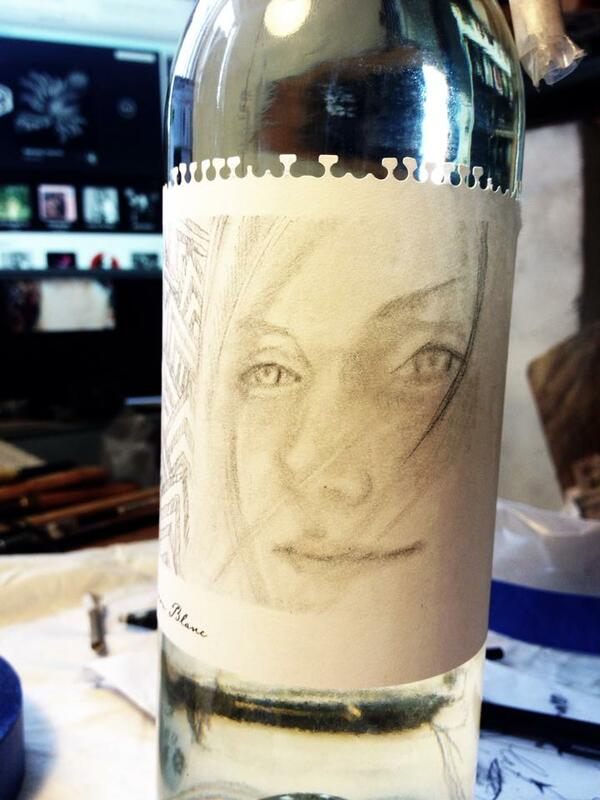 Ever thought you had an idea for a wine label? 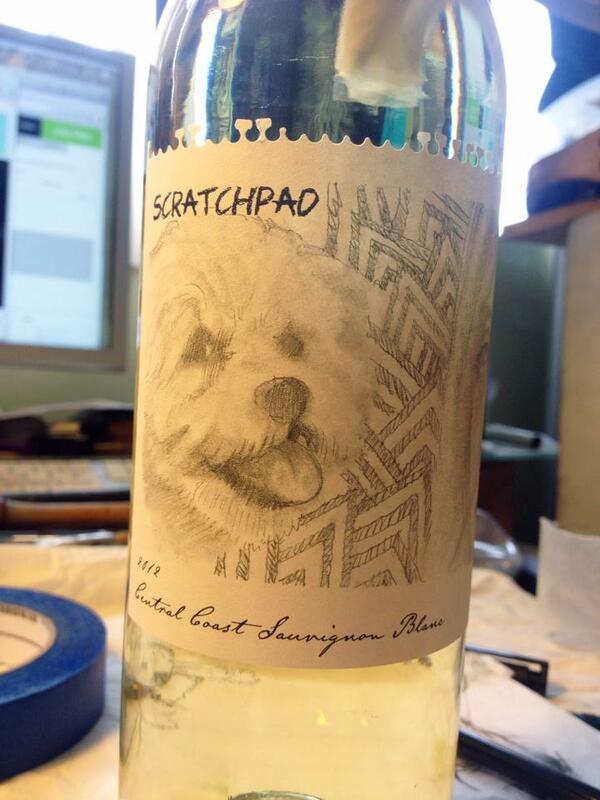 Let the inner artist in you come out and create your own label with the new Scratchpad wines, created by Terravant Wine Company in Buellton (Central Coast). 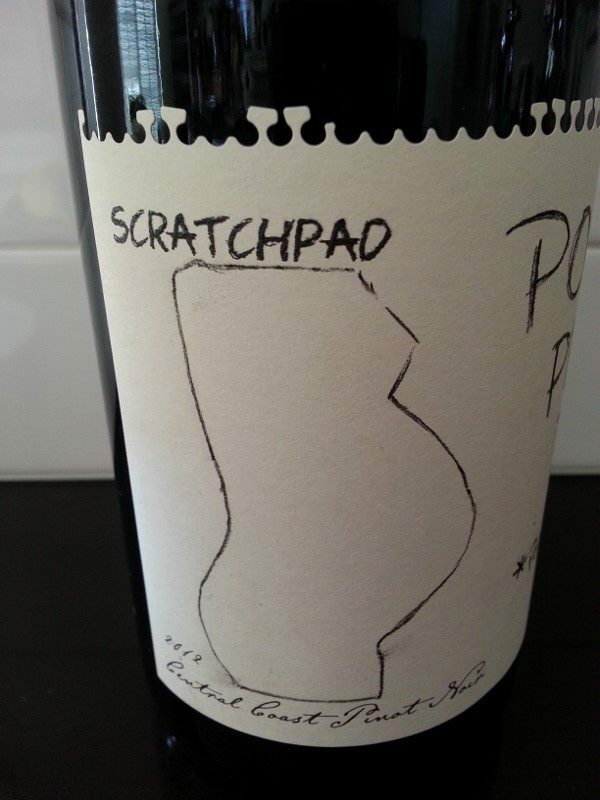 Each bottle of Scratchpad wine – 2011 Central Coast Chardonnay, 2012 Central Coast Sauvignon Blanc and 2011 Central Coast Pinot Noir – comes with a blank label and a charcoal pencil draped around its neck. It’s up to you to decorate the label! The question is: do you decorate it before you drink the wine or do you drink the wine to get inspired? Either way, have fun! Get creative! Go crazy! Express yourself! Then snap a photo and share it via social media or on the Scratchpad Faceook page for everyone to admire. Here’s what I did with my bottles. My friend Jason told me his girlfriend’s 30th birthday was coming up and he was preparing a very special weekend for her. He started telling me that he was looking to do a personalized label for a bottle of wine and I told him about Scratchpad wine and offered him my 2012 Central Coast Sauvignon Blanc ($11). He asked Sean Maytum, an artist friend, to help him and Sean sketched an image of birthday girl Andrea and her dog. Andrea loved the bottle so much that she didn’t want to open it! While the wine is ready to drink, it will age for two or three years so hopefully she will open the bottle one day soon and enjoy the Sauvignon Blanc with aromas of honeydew melon, freesia flowers and tropical lime zest. While a little intimidated by the artistic talents of Sean, I decided to try my less artistic hand. One of my closest friends is going to have her first child later this month. Typically we love to eat and drink and travel together but this has been limited for the last nine months. And, every time we go out, she tells me the drink I should order and then takes one tiny sip. So, I decided to give her the 2011 Central Coast Pinot Noir ($15) as a little teaser of what’s to come after the baby is born. 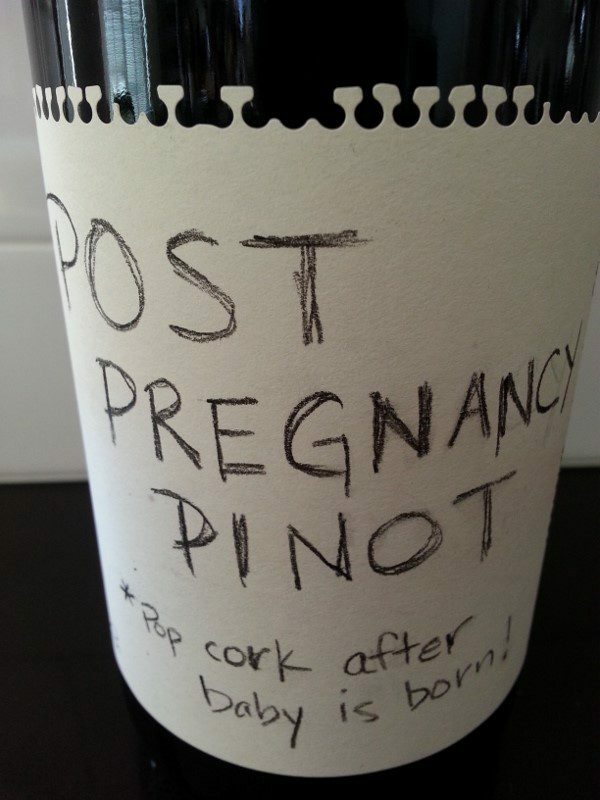 But, as the juicy cherry Pinot will age well for the next five to ten years, there is no need for her to open it right away after the baby is born (but I bet she will). So, I still have the 2011 Central Coast Chardonnay ($13) here and haven’t decided yet what I will put on the label. Perhaps for this wine, I will open it first and drink it to get inspired! This entry was posted in Lifestyle, Wine and tagged Central Coast, personalized wine labels, Scratchpad, Scratchpad wines, Sean Maytum, Terravant Wine Company, Wine by Allison Levine.